Military Army Sleeping Bag Gore Tex Bivy Cover. Keep your sleeping bag out of the elements with this waterproof bivy cover. 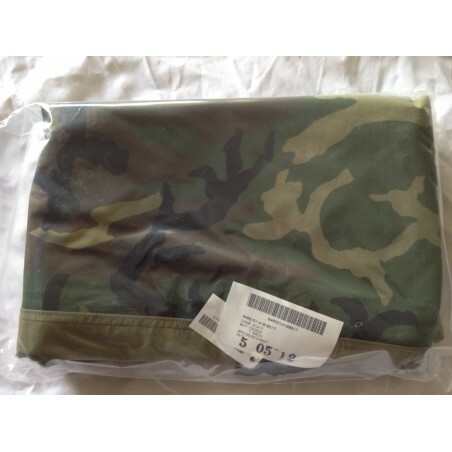 Official US Military Army sleeping bag bivy cover. This bivy cover is designed to keep you dry and provides a outer shell around your sleeping bag. Made from waterproof GoreTex nylon fabric. The bivy cover is moisture wicking. The zipper is not waterproof but does have storm flap. Size is approximate 85" L x 35" W. Approximate weight is 2.3 lbs. Made by Tennier Industries. Great for any outdoor camping, hiking and hunting trip.